One of the great features of being in charge of your own blog is that you can amend your unwritten rules: Writing primarily negative book reviews and/or giving a platform, no matter how small, to material I largely disagree with are two of them. It may have been the hype surrounding the release of Mindy Budgor’s book Warrior Princess: My Quest to Become the First Female Maasai Warrior (Tom Murphy's American seeks to become warrior and help Maasai stop being sexist provides a good overview over the debates) and partly it may have been the absence of ‘regular’ book reviews that encouraged me to read her book and write a more traditional book review. More or less right from the beginning the book surprised disappointed me with its lack of development-related reflections, self-criticism and a strange Out of Africa exoticism that was transferred into the age of Blackberries and business school applications. At its best worst, modernization theory of the 1950s meets Generation X and the ‘2.0’ world in a time-space continuum from a parallel development universe. In the growing ‘do it yourself’ world of contemporary doing good-ism, Mindy Budgor’s message comes across as loud and clear as the Maasai’s elephant scare noises: Social change happens through ‘determination’, a North American ‘can do’ attitude, ‘following your heart’ and if all else fails a healthy dose of ‘fake it, till you make it’ - and don’t forget to bring you red nail polish and a certain brand of underwear! In an almost stereotypical way, Mindy (re)presents the Generation X: Born and raised by a well-off U.S. West Coast family, Mindy is bright, determined and realizes early in her childhood that she ‘was just different’ (3) and could not ‘handle being caged’ (1) (which obviously refers to her medical studies college experience). Fast forward to the end of her first successful business venture a few years later and we are faced with Mindy who is still determined ‘to stop hiding in anyone's shadow’ (xii) and instead starts ‘consistently questioning my purpose in life’ (5). Who needs to do research when you can be determined? While applications for business schools are under review, Mindy decides to get involved in a volunteering/voluntourism project, in short: ‘I'll be building a clinic in a tiny village in Kenya!’ (11). Without much further research and preparation, zipping by any complexities, changes and challenges of Kenya’s society (from the airport straight to the village), Mindy arrives at the clinic site, works hard and introduces the locals to a more efficient use of man- and woman-power. But this is only the beginning of the real story of how Mindy ‘help(s) to give Maasai women a much-deserved voice in their tribe’ (xii): She promises to be back to become the first-ever female Maasai warrior. From there it is a relatively small step to one of Santa Barbara’s most elite gyms (which usually only coaches professional athletes, but Mindy is, you may have guessed that by now, so determined to get in and fit that they make an exception for her) and back to Maasai land where Mindy and her friend Becca, equipped with name-brand underwear, water purifiers, and nail polish want to experience the pure life of Maasai warriors. Mindy’s brother is sure that ‘what will carry you through this journey is your heart and your complete audacity’ (47). The remaining part is best summarized by a text message Mindy sends to her father towards the end of their trip: ‘We are on the ultimate safari!’ (189). The encounters with wildlife, days without food, the absence of bathrooms and Maasai stories by the fire are somewhat entertaining, yet also predictable and often seem to take place in a Maasai-themed entertainment park rather than in the ‘real’ wilderness. The indigenous culture is often reduced to a canvas, to saxophone music on the ‘contemporary adult’ in-flight entertainment channel, while Mindy finally realizes that ‘what I needed to do was to embrace my own eclectic personality’ (242). 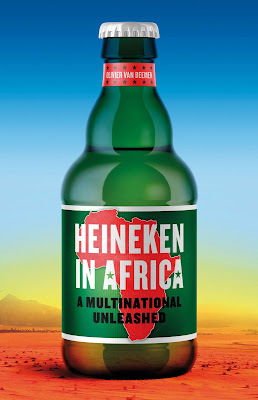 In the end, the tribes gather for a big wedding, Mindy and Rebecca are accepted as first female warriors and their key Maasai contact and friend is treated to a ‘reverse Safari’ to enjoy the amenities of five-star Nairobi hotel for the first time in his life-only to sleep on the concrete floor instead of the soft bed. ‘Through their persistence, courage, and unending strength they have opened the door to a change in Maasai tribal law’ (263). No matter how far-fetched, maybe even dangerous, an idea may sound and regardless of how many people tell you otherwise, sheer willpower will solve problems, breaks down cultural barriers and leads to social change. Entrenched in a consumerist and capitalist culture (‘My western marketing mind could immediately envision him (Warrior Felix) on a global speaking tour, training corporate executives on “How to find your Inner Warrior”’ (26) a complex form of empowerment emerges that sits comfortably between celebritization, entrepreneurship and excoticism, but has no time to sit still in a classroom, library or at a dinner table with someone who may have more knowledge and experience. 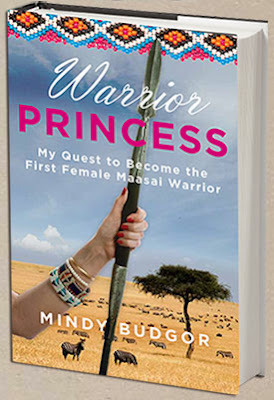 Despite all this criticism it would be too easy to simply dismiss Mindy and her adventure as a selfish self-marketing ploy; whether ‘we’ like it or not, Warrior Princess is somewhat of a mirror of popular representations of development and the complexities of empowerment between changing tribal cultures and ‘Oprahfying’ the experiences in the fast food culture of books, speaking engagements and business schools case studies with the quest to find the ‘inner self’ of Generation 2.0. Budgor, Mindy: Warrior Princess. My Quest to Become the First Female Maasai Warrior. ISBN 978-0-7627-8603-9, 288 pages, USD 24.95, skirt!, Guilford, CT .
Full disclosure: I received a free review copy from skirt! in September 2013.